First of all...saying this recipe is a copycat is a smidge misleading. It's not actually a copycat-it's the actual recipe via Max Brenner's website. So it's like super legit. 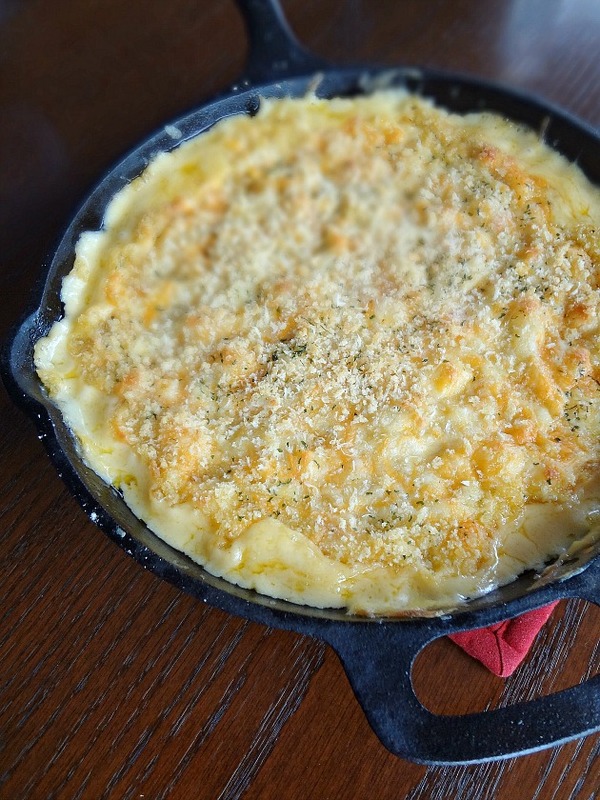 Whenever I would go to Max Brenner's restaurant in NYC, my favorite savory item was their skillet macaroni and cheese. It's creamy and flavorful with a gorgeous, slightly crisp, crust, and there are little bites of tomatoes studded throughout. It's crazy good. 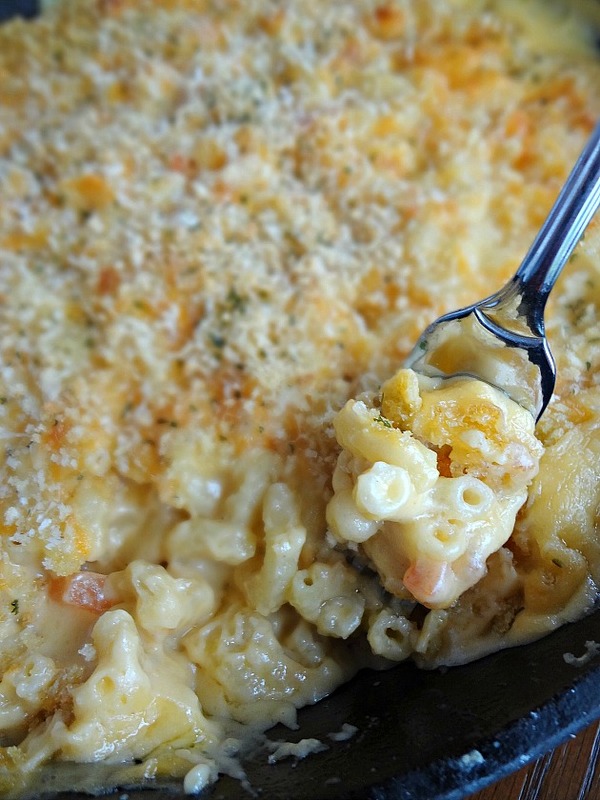 The mac and cheese is super creamy and flavorful and there's yummy little bits of tomato in there and the most perfect cheesy crumby-y crust. 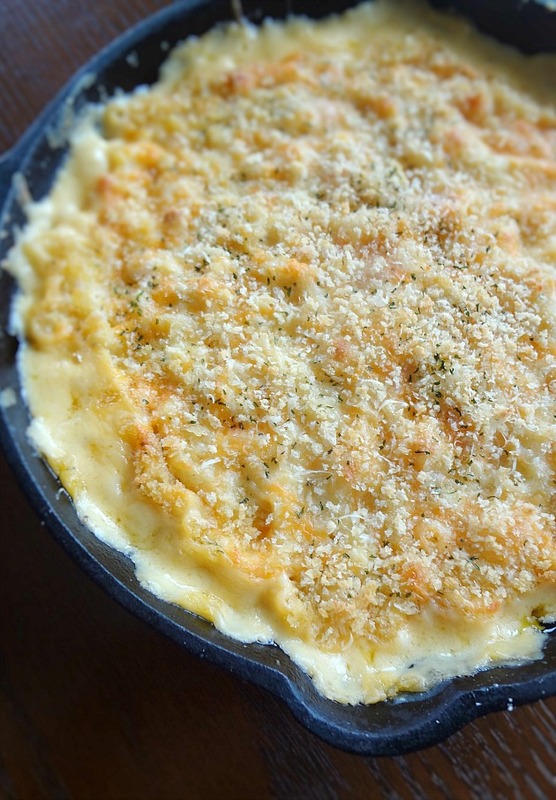 It's just....the best macaroni and cheese in the world, guys. I'm for serious. In a 10 inch oven-safe skillet (I used cast iron), melt the butter on the stove over medium-low heat. Once hot, whisk in the flour constantly until smooth. Whisk warm milk into the roux and stir until thickened. Add in 3 cups of the cheeses, a handful at a time, whisking until smooth before adding the next handful of cheese. Once all the cheese is added and melted add salt, pepper, and any other seasonings (I added a bit of garlic powder), to taste. Remove from heat. Add al dente pasta and chopped tomatoes to the sauce and mix together until evenly combined. Sprinkle the top evenly with remaining 1/2 cup of cheeses. Then sprinkle breadcrumbs on top of that. Bake for about 10 minutes, until the top is bubbly and starting to turn a bit golden. Remove from oven. 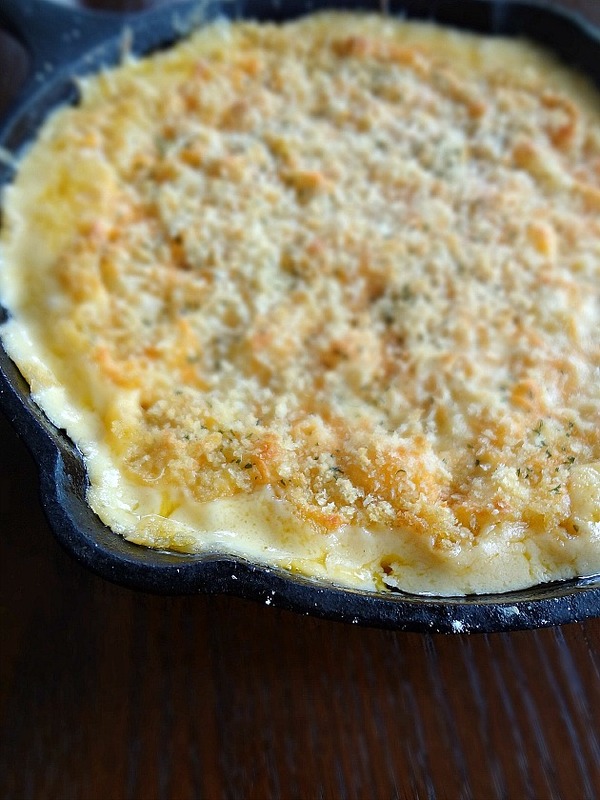 Sprinkle a bit of parsley on top of the baked macaroni and cheese, if desired. Let cool for at least 5 minutes before serving. Store leftovers in a covered or airtight container in the refrigerator for up to 5 days. 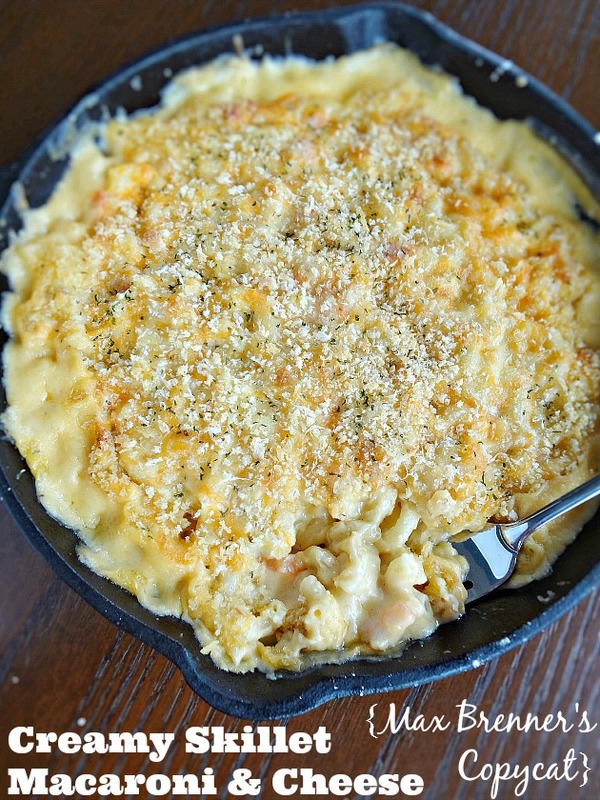 LIFE CHANGING MAC AND CHEESE.